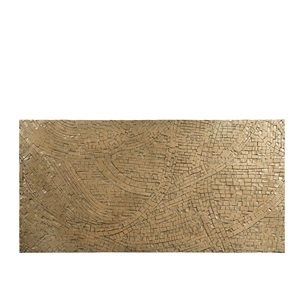 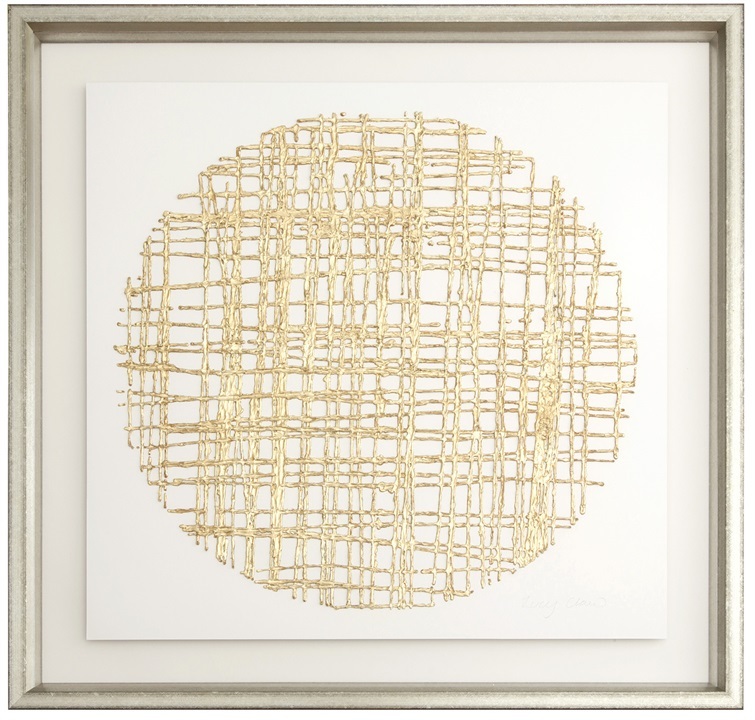 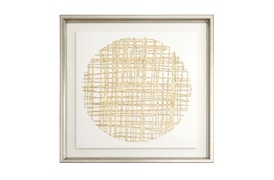 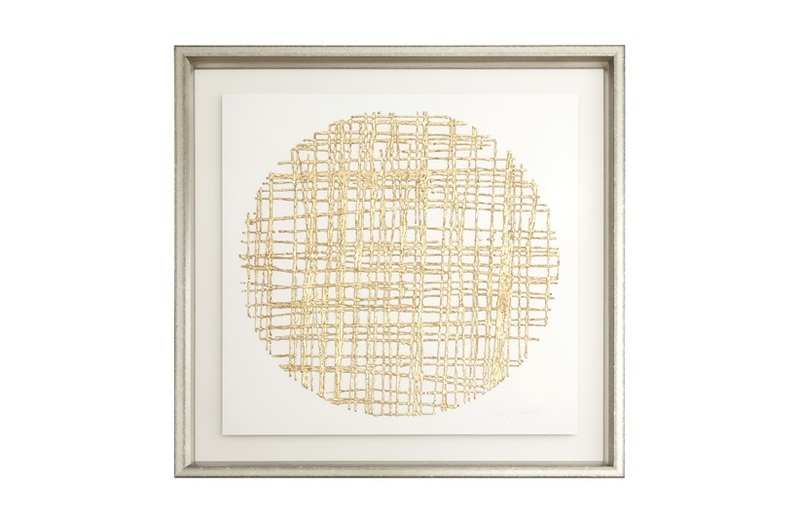 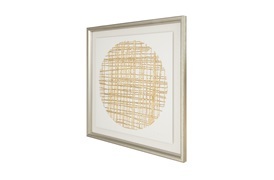 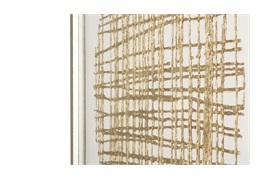 This beautiful pair of gold leaf circles with inner intricate linear design command attention in any space. 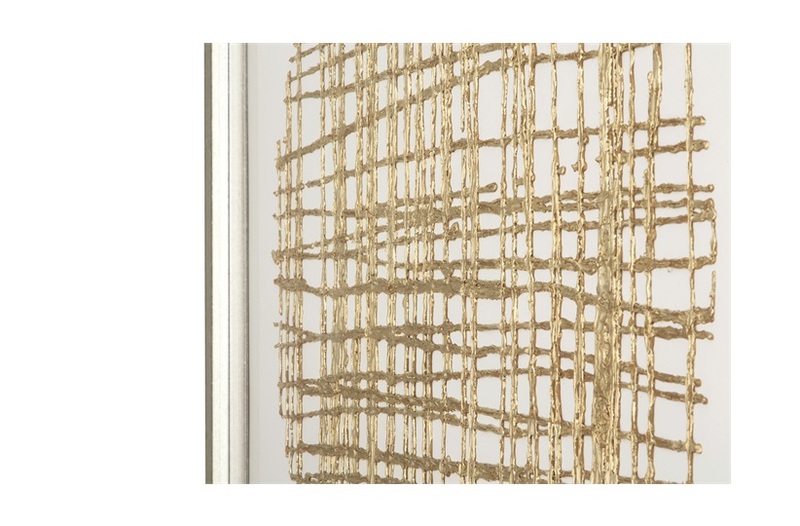 Each piece, created by surface designer Lucy Claw, is hand-painted and embellished with gold leaf to give a stunning ornate effect. 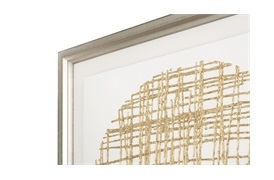 Claw’s impressive combination of well-placed cuttings create a three dimensional aspect to each handmade piece. 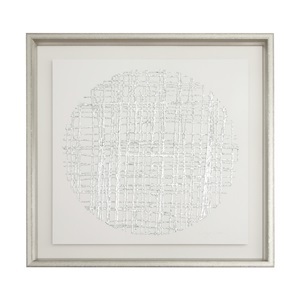 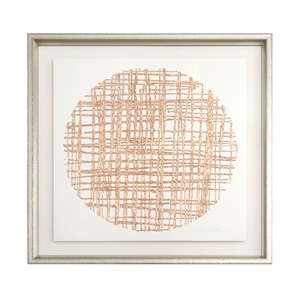 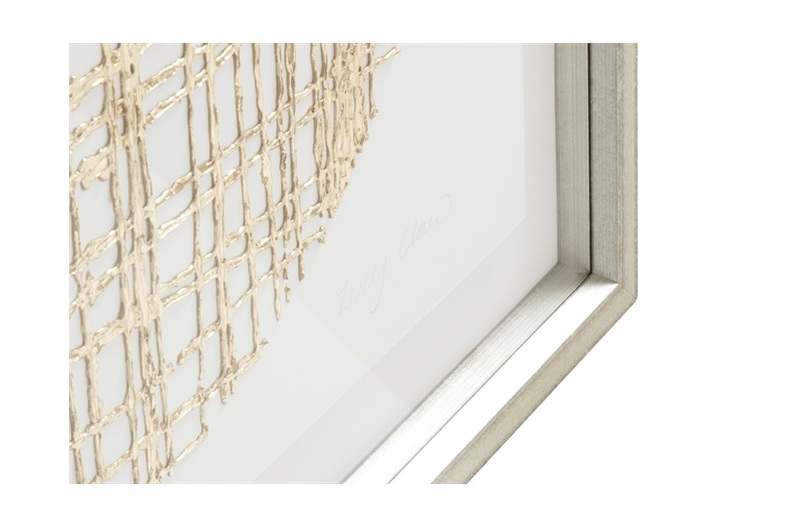 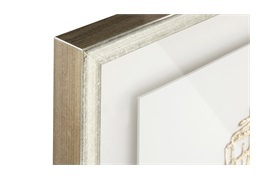 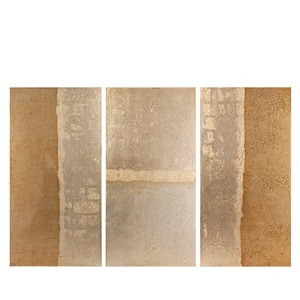 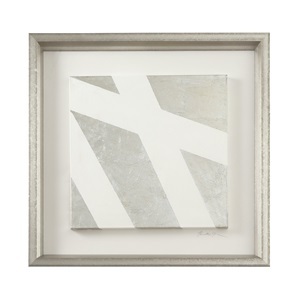 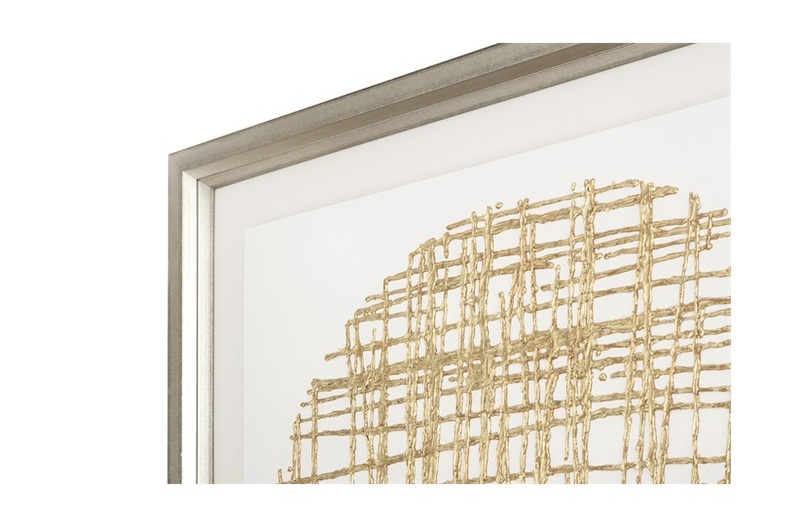 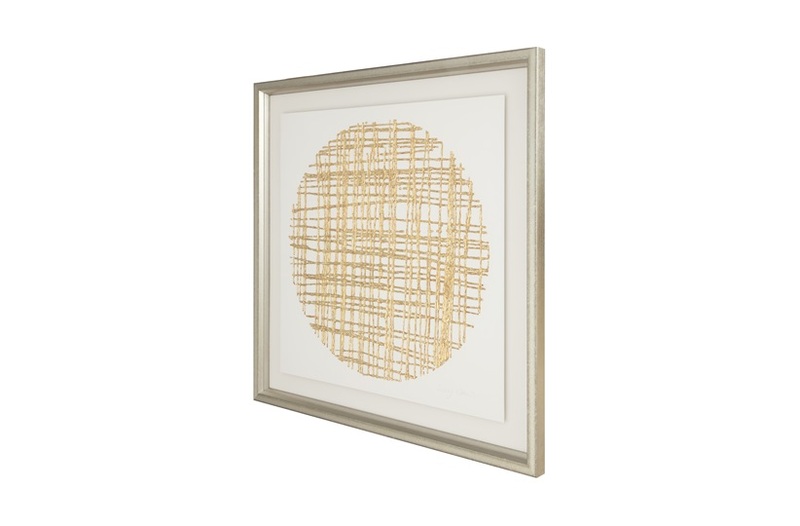 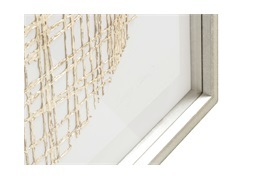 Presented beautifully in a contemporary silver frame, these pieces are best displayed as a striking duo, adding rich texture to a metropolitan interior.